In March last year, Microsoft CEO Steve Ballmer said while addressing the University of Washington: "For the cloud, we're all in. Literally, I will tell you we are betting our company on it." Just after a year, Microsoft India MD Sanket Akerkar tells us how much the company's cloud strategy has helped in making further inroads in India. In an interview to Bibhu Ranjan Mishra, Akerkar, talks on the company's India strategy and the impact of cloud strategy on Microsoft and its larger ecosystem of customers, partners and developers. What is new in your cloud strategy? You were always offering cloud-based services to the consumers? Microsoft sees cloud as the next wave to deliver value for any customer and thus has taken a huge bet on it. From a consumer cloud perspective, we have been in the business for almost 15 years - be it hotmail, Xbox or messenger. 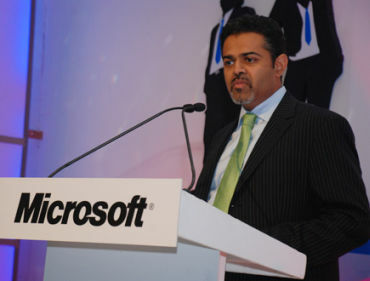 Image: Sanket Akerkar says cloud computing is making inroads in India. We have many consumer services, which are provided on cloud for consumers in India and elsewhere. On the commercial side, more businesses are getting interested in leveraging the "cloud" for their benefits. We have been investing in the commercial cloud business for the last 5-6 years. There are concerns about security in case of data hosting. Will it not obstruct the adoption of your cloud platform among commercial establishments? In India's context, customers see value in it, thus driving its adoption. We have seen success in the past one year since we started offering software as a service and platform as a service. Image: Indian customers see value in cloud computing. We have over 1,000 customers at our online services called business priority online services. We have over 8,000 applications, which are built on our platform as a service. There are some challenges that customers see, and security definitely is one of those. But are you not late in offering applications like CRM on the cloud? Yes. There were providers who made CRM platform online before we did. In many cases, some of those companies did not even exist when we offered consumer cloud 10-15 years ago. If you think about some of the other products in the offering in the commercial side starting from e-mail, collaboration and web conferencing, all have been offered by us for many years now. Image: Security is a concern for Microsoft. Do you have any Indian customers who are using cloud platform? We don't go after the big customers in India for our collaboration (software as a service) platform. But we are seeing significant adoption in industries such as banking and financial services, manufacturing and IT/ITeS. Typically, when we launch any new services, we see huge uptake in the beginning as the service is coming from Microsoft. 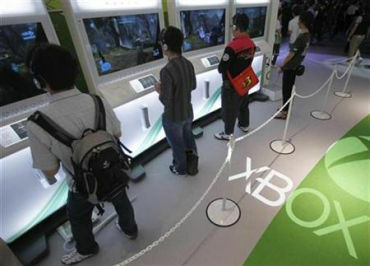 Microsoft in India is seen as an enterprise-focused company. With cloud, is there going to be a strategy change? We have been a company that is relevant to both consumers as well as enterprises. And I do think that there are many benefits that the cloud brings to small businesses. Because of their size, SMEs may not have many people for managing their IT. 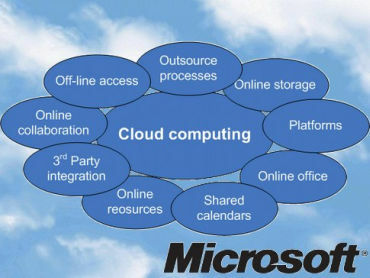 Image: SMEs benefit a lot from cloud computing, says Akerkar. 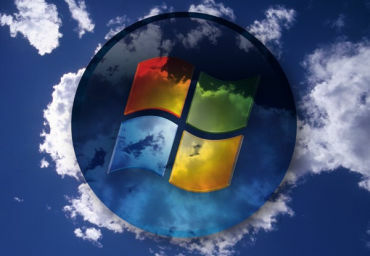 Microsoft sees cloud computing as the new wave. We provide that as a service much more efficiently in a hassle free manner. Almost anyone can go to our website and order our services. On the enterprise side, we have been providing enterprise-class software solutions from many years. We have now taken those products, and put those on the cloud. This helps smaller companies to enjoy the same benefits of an enterprise-class software at an affordable price. Only 3.5 per cent of the total capital investment in India goes to IT. In such a scenario, where do you see the growth coming in? India has the second-largest number of developers in the world. The good news is that both the government and the private sector in the country are now realising the role played by IT in supporting the economy. We do see that we are at the cusp of a significant improvement in the usage of technology in India, for India. Image: India has the second-largest number of developers in the world.